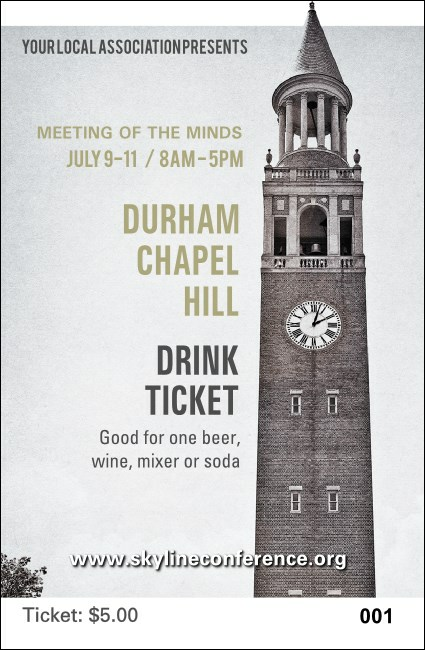 Cheers to good southern living with the Durham Chapel Hill Drink Ticket. This inspired design features a classic black and white image of a UNC landmark — the bell tower. Whether your guests are celebrating a Tar Heels win or a sold-out concert, they'll appreciate this classic North Carolina Drink Ticket.